With AI trending in business, there are a lot of question surrounding human-in-the-loop machine learning and what it actually looks like. 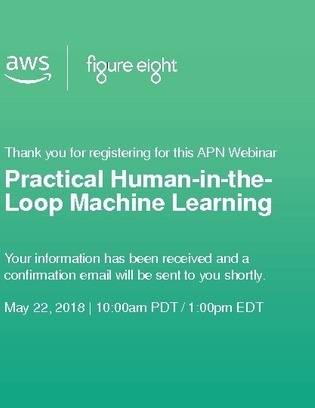 Join this webinar to learn why human-in-the-loop training data should be powering your machine learning projects and how you can make it happen. This webinar will take place on May 22, 2018 at 10am PDT, 1pm EDT.